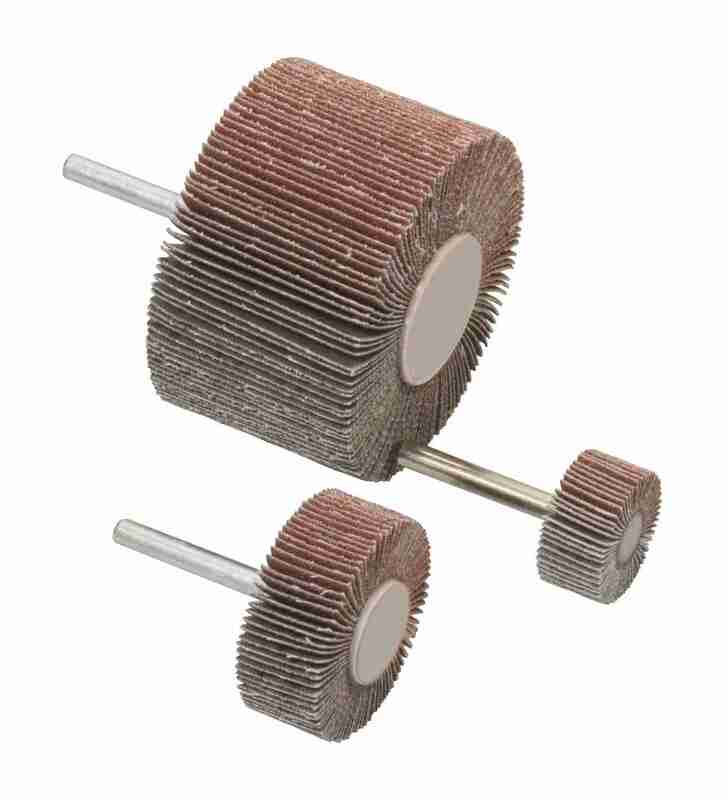 Application: These stripping wheels are mounted on 6mm spindles for use in electric tools or in 6mm collets for paint stripping and cleaning metal and wood. 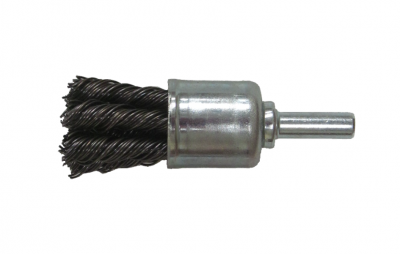 These are handy for small contact areas, or bars and shapes such as railings and balustrades. Spindle mounted for electric tool chucks or 6mm collets. Polycarbide open structure resists loading. 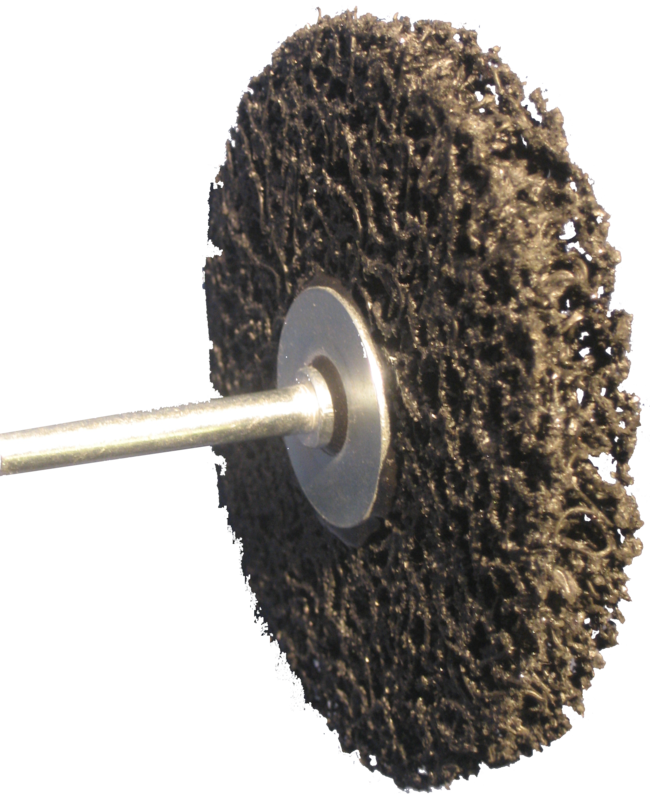 Uses silicon carbide coarse abrasive grit. 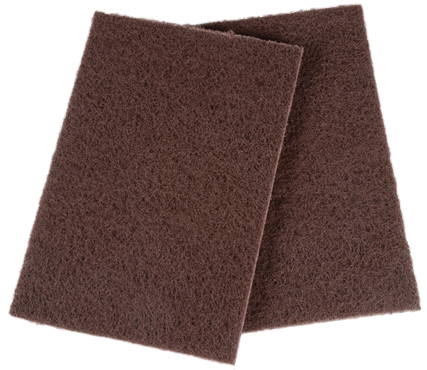 Hand pads are made from non-woven fleece type abrasive material and are ideal for handwork on shapes and curves. 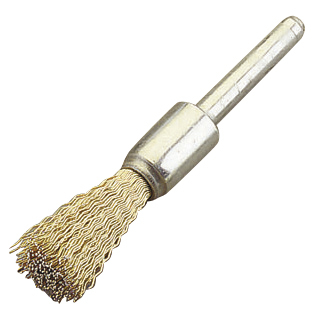 Twisted knot end brushes are ideal for appliying aggressive cleaning action in cylinders and recesses. 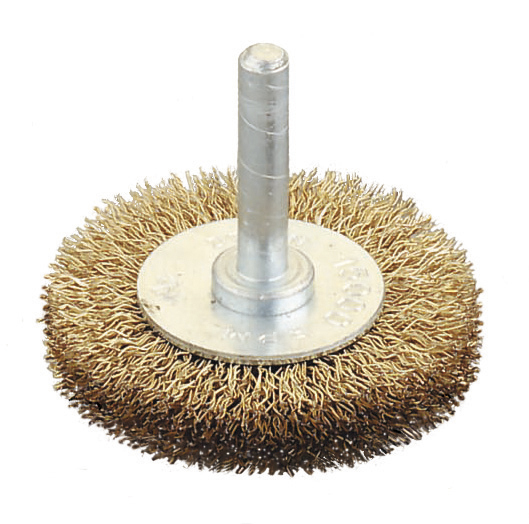 End brush wheels are ideal for cleaning inside recesses, cylinders and corners with drills and die-grinders. We stock both flat and pointed end brushes.